What a gorgeous day! Saturday was a lazy, restful day and the clouds were amazing. I had to do a little day dreaming, watching them drift by. What do these remind you of? Remember lying on your back in the grass and watching the clouds as a child. The grass was a little damp, so I laid on the bench on the patio and took this video. 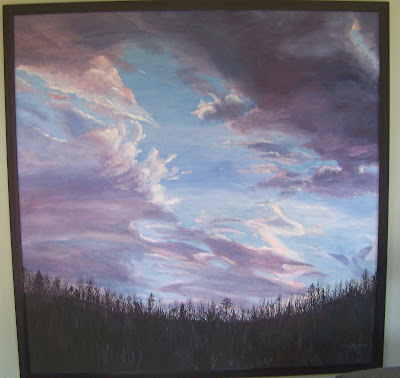 Clouds are one of my favorite subjects to paint. 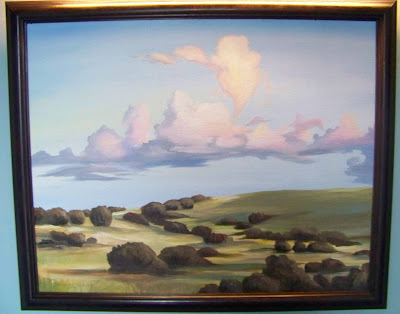 Here is a cloud picture that I painted several years ago of just before sunrise in front of our house. Also, here is the most recent painting that I did for my DH’s office. Last weekend, when the family was here, my DIL took pictures around the farm. This picture of Maggie kissing Bella (or was she tasting her?) was so precious I had to post it. To see more of her beautiful photography check out Zebrainfusion. 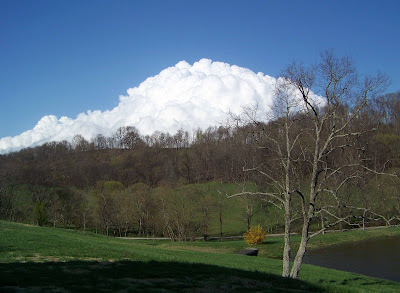 How funny is it that we were both taking pictures of the clouds on Saturday and blogging about them? Looks like you guys didn’t have the the stormy clouds that we did, though. ..yours were much prettier!! What a beautiful picture of your purr and fur babies! 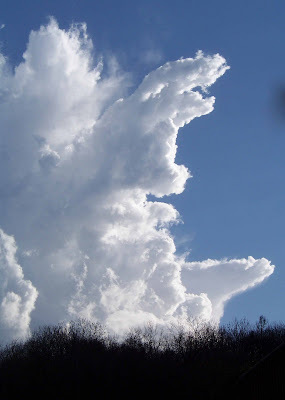 Clouds never looked so interesting. Your painting is amazing, you are a fabulous artist, of all varieties.